Do the best work of your life and enjoy achieving it. Join an exceptional group of people who have helped ADvendio become the leading Salesforce powered advertising management software that is used worldwide. Be part of something great. Competitive salary with great bonus opportunities. Company benefits with pension scheme options. Flexible work hours with home office possibilities. Top of the range toolset to support your daily tasks. ADvendio is a leading all-in-one advertising management software for media companies with customers in more than 25 countries. Supported by Salesforce’s cloud-based technology our solution is changing the way companies manage the selling, booking and invoicing of their advertising. Some of the best-known media companies trust ADvendio for digital, print, out-of-home, and streaming media, and to support further growth we are looking for exceptional people like you to work at our Concón office in Chile. Develop a content strategy aligned with short-term and long-term marketing targets. Optimise content according to SEO. Use content management systems to analyse website traffic and users engagement metrics. Develop an editorial calendar and ensure the content team is on board. Proven work experience as a content marketer. Understanding of web publishing requirements. Editorial mindset with an ability to predict audience preferences. BSc degree in Journalism, Marketing or relevant field. Understanding of content marketing tactics, such as SEO, digital advertising and social media marketing. Demonstrated ability to lead content marketing campaigns. Google Analytics and WordPress skills are advantageous. 1 - 3 years of experience in Content Marketing. Modern office located in Concon, Chile. Free snacks, fruit and coffee. Top of the range toolset. Longer-term perspectives and the opportunity to develop new skills. Flat hierarchies and great team spirit. Fast-paced, innovative environment in a quickly growing future market. Would you like to become part of a dynamic, forward-thinking company, while enjoying all the benefits of an established international work environment? If so, then we look forward to receiving your application, including salary expectations and earliest possible start date. Some of the best-known media companies trust ADvendio for digital, print, out-of-home, and tv/radio ad sales, and to support further growth we are looking for exceptional people like you to work at our Dublin office in Ireland. Join a globally expanding organisation with a vision to become the world’s leading platform for streamlining the ad sales process. Together with the product team, educate both internal and external stakeholders on our product features and their value proposition. Create marketing programs (e.g. product videos, website copy) that articulate the benefits and use cases of our products to drive qualified leads and engage customers. Create sales collateral and tools that align with the buying process and help move prospects & customers through the sales cycle. Assist sales with RFI/RFPs to provide deeper insight into the product. Bachelor’s degree in Marketing, Business or a related field or equivalent professional experience. Minimum of 1-3 years experience in product marketing with a proven track record of executing successful product launches (or related experience). Ability to flourish in a fast-paced, high-growth work environment. Demonstrated ability to learn quickly and apply problem-solving skills to business and technical challenges. Ability to communicate cross-functionally and up to C-level. Proficiency in written communication with an ear for ‘voice’ and an eye for grammar/spelling. Modern office located in Grand Canal Dublin. Lots of snacks, coffee, and Guinness on tap. Some of the best-known media companies trust ADvendio for digital, print, out-of-home, and tv/radio ad sales, and to support further growth we are looking for exceptional people like you to work at our Concón, Chile office. Creating further customer relationships, building up partnerships and increasing visibility of our product. Demand and lead generation, in line with the marketing strategy and the lead gen team, across all sales channels. Tightly manage a lead pipeline according to our structured sales processes. Conducting high level conversations with Senior Executives in media businesses. Identifying and developing opportunities to a successful result. Regular updates of the CRM system with accurate customer and pipeline data. Collaborate with the EMEA marketing team members as necessary to fulfill any campaign driven activities for your territory. Extensive, relevant experience of selling business software (minimum 3 years) - any salesforce.com or SaaS sales experience is highly preferred. Media background is a plus: Interest in digital advertising marketplace (ad campaign planning and selling) and ad serving technologies. Excellent communication (verbal/written) and interpersonal skills. Native or fluent in English. Self-motivated with a positive attitude and enjoying new challenges. Excellent performance-based salary model: Generous base salary plus uncapped commission depending on meeting and exceeding monthly/quarterly sales targets. Due to high international market demand and our ongoing rate of growth, we are seeking a qualified, ambitious Senior ADvendio Consultant to expand our team at ADvendio’s new Dublin office in Grand Canal. Understand customer requirements and business objectives. Analysis and definition of business processes for our customers. Provide strategic advice on using ADvendio technology to achieve goals. Design the integration of the ADvendio solution into the existing system landscape of our customers and ensuring the right architecture and functionality. Plan, lead and support implementation projects of the ADvendio solution. Manage resources and collaborate with in-house and customers technical staff. Design and plan data migrations. Assist customers with system testing and staff training. Train users in new and existing ADvendio functions. Provide assistance with technical issues. Revise existing ADvendio implementations and suggest improvements. Assisting our Sales and Pre-Sales department with the acquisition of new customers. Identify needs and generate business at existing customers. With this position traveling around 50% to customers and non-customers required. Proven experience as Consultant (3-5 years), preferred in a larger consultancy. Profound professional and consulting experience in CRM, sales or order processes and software implementations. An analytical mind with problem-solving abilities. Experience with Salesforce® and Salesforce certifications are preferred but not essential. BSc/BA in computer science, IT or relevant field; MSc/MBA in business will be a plus. Professional certification (e.g. IPMA/PMI or ITIL) is an asset. Willingness to travel across Europe and across Europe and occasional international. native English is a must, a further european language would be beneficiary. Would you like to work in a dynamic, growth-oriented company that offers all the benefits of an international working environment? Then send your complete application including salary expectations and earliest possible starting date. ADvendio is a leading multi-channel advertising management platform for media companies. With customers in more than 25 countries, we count many of the world’s leading media companies as our customers. 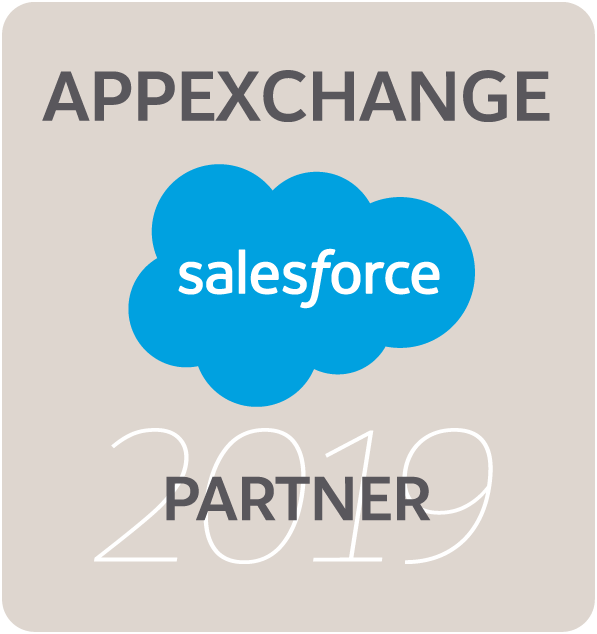 Supported by Salesforce’s cloud-based technology, our solution is changing the way companies manage the selling, booking and invoicing of their advertising. As a software as a service company that is building bold solutions to make the media and advertising world a better place, we seek people with a passion for media and technology. Being fond of responsibility and innovation are things that we all share as the media business and advertising technology move fast. Digital advertising and cloud computing is experiencing explosive growth, and so are we: With offices in Germany, Ireland and Chile, we are looking for a Product Manager that wants to become a part of a globally expanding organization and help us shape the digital future. 1 -3 years of experience in the field. To have some financial knowledge will be a plus. Excellent knowledge of English, german is a plus. The position may require travel activity of up to 20% (depending on operational necessity) throughout Germany, Europe and worldwide. In addition to an attractive salary, we offer you an exciting job in the market of cloud computing. We provide a permanent position in our company. Our flexible working hours and the possibility of home office makes it easy to keep the work-life-balance. Our head office is located in Hamburg, Germany. For this position, it is not mandatory for the candidate to be on-site. Needs analysis, designing and implementing salesforce.com integrations. Technical design of new projects and adapting existing products to meet new requirements. Independent development of customized solutions to optimize customer business processes. (Recently) completed university studies in the field of Computer Sciences, or comparable qualifications. Good knowledge of object-oriented programming, Java preferred. Must speak English, German is a plus. Must be located in Hamburg or nearby it (Germany). Um die vielversprechendsten Karrieren zu finden, muss man auf innovative Unternehmen und wachsende Märkte schauen. Derzeit bietet ADvendio die fortschrittlichste Software für das Anzeigenmanagement, die Medienunternehmen dabei unterstützt, ihr Anzeigengeschäft in über 20 Ländern zu steigern. Mit unserer webbasierten Geschäftsanwendung, die auf den weltweit führenden Cloud-Technologien von Salesforce basiert, modernisieren wir Vertrieb, Auftragsmanagement und Abrechnung für Digital-, Magazin-, Zeitungs-, Radio-, TV- und Außenwerbung. Unsere Vision ist es, die weltweit führende Plattform für das Anzeigenmanagement zu werden, um den Anzeigenverkauf zu automatisieren und Medienunternehmen profitabler zu machen. Als Softwareunternehmen, das innovative Lösungen für die Werbevermarktung entwickelt, suchen wir Mitarbeiter, die sich für Technik und Medien begeistern und bei denen Innovation und Verantwortung wichtig sind. Wir bieten flexible Arbeitszeiten und ein offenes, kollaboratives Arbeitsumfeld mit flachen Hierarchien, in dem jeder seinen Beitrag leisten und sich individuell weiterentwickeln kann. Wir bieten proaktive und motivierte Mitarbeiter, die Ihre Karriere vorantreiben wollen, ein herausforderndes Umfeld in einem schnell wachsenden Markt. Durch die Digitalisierung der Werbung und die zunehmende Bedeutung von Cloud Computing wächst unsere Belegschaft in Deutschland, Irland und Chile ständig weiter: Werde Teil eines globalen und wachsenden Unternehmens und gestalte die digitale Zukunft der Medien- und Werbebranche mit. Wir suchen Dich als einen qualifizierten, ambitionierten Junior Technical Account Manager (m/w) zur Erweiterung unseres Teams im ADvendio-Büro in der Hamburger Innenstadt. In dieser Position unterstützt du unsere Kunden bei der Integration und Nutzung des ADvendio-Systems und der Adaption unserer Best Practices. Du hast Spaß daran, geschäftliche, prozessuale und technische Probleme unserer Kunden zu lösen und die Anwender unserer Kunden zu schulen, um den Wert unserer Technologie im Unternehmen zu maximieren. Du hast ein Hochschulabschluss in Wirtschaftsinformatik, Medieninformatik, Informatik oder einem wirtschaftswissenschaftlichen Studiengang mit technischem Hintergrund erfolgreich abgeschlossen. Komplexe Fragestellungen gehst Du strukturiert und lösungsorientiert an. Du überzeugst als kommunikationsstarker Teamplayer, der gerne Verantwortung übernimmt. Dich zeichnet ein hohes Maß an Qualitätsbewusstsein ebenso aus wie Flexibilität und Belastbarkeit. Erste Erfahrungen im Projektmanagement oder im Consulting-Umfeld von Software-Lösungen (z.B. Salesforce) werden bevorzugt, sind aber nicht zwingend erforderlich. Mobilitätsbereitschaft für Kundenprojekte in Europa und gelegentlich auch international. Verhandlungssicheres Englisch ist ein Muss, eine weitere europäische Sprache wäre von Vorteil. Ein attraktives Gehalt inkl. Bonus. Eine spannende Tätigkeit im Markt des Cloud Computing. Du hast die Gelegenheit zu wachsen und neue Aufgaben zu übernehmen. Unsere flexiblen Arbeitszeiten und die Möglichkeiten des Home Office machen es einfach, eine gute Work-Life-Balance aufrecht zu erhalten. Möchtest Du in einem dynamischen, wachstumsorientierten Unternehmen arbeiten, das alle Vorteile eines internationalen Arbeitsumfeldes bietet? Dann sende uns Deine vollständigen Bewerbungsunterlagen, [email protected] (mit Gehaltsvorstellung und frühestmöglichem Eintrittstermin). Some of the best-known media companies trust ADvendio for digital, print, out-of-home, and tv/radio ad sales, and to support further growth we are looking for exceptional people like you to work at our Concón office. Accounting: Preparation of documentation, archiving of invoices etc. Travel Expenses: Checking alignment of employee expense reports with credit card statements, cash receipts, etc. Collect, organize and store invoices. Take care of payment reminders and dunning/debt collection process. Register documents in the system. Scan documents and put them in folders. 1-3 yrs of experience with administrative tasks. Fluent English is a must. German is preferred. Knowledge of European systems (German and Irish) is a plus. Du möchtest die Entwicklung eines modernen, international tätigen Unternehmens kennenlernen und mitgestalten? Dann entscheide dich für das duale Studium zum Bachelor of Science Informatik bei ADvendio, in Zusammenarbeit mit der Nordakademie in Elmshorn mit Start zum 1. Oktober 2019. Dabei genießt du sämtliche Vorzüge eines Studiums an einer privaten Hochschule, wie z. B. eine individuelle Betreuung, modern ausgestattete Räumlichkeiten und praxisnahes Wissen und Lehre. Dich erwartet eine Kombination aus wissenschaftlichem Studium und praktischer, unternehmensbezogener Ausbildung, wobei sich die Studienphasen an der Hochschule und die Praxisphasen in unserem Unternehmen blockweise abwechseln. ADvendio trägt während der gesamten Studienzeit die Studiengebühren. Zusätzlich erhältst du eine attraktive monatliche Vergütung. Du lernst modernste Webstandards kennen. Cloud Computing, Big Data, künstliche Intelligenz sind Teil deiner Arbeit. Wir bieten flexible Arbeitszeiten, HomeOffice-Möglichkeiten und ein offenes kollaboratives Arbeitsumfeld mit flachen Hierarchien, in dem du nicht nur deine eigenen Ideen einbringen, sondern wirklich etwas verändern kannst. Derzeit bietet ADvendio die fortschrittlichste Software für das Anzeigenmanagement, die Medienunternehmen in über 20 Ländern dabei unterstützt, ihr Anzeigengeschäft zu steigern. Mit unserer webbasierten Geschäftsanwendung, die auf den weltweit führenden Cloud-Technologien von Salesforce basiert, modernisieren wir Vertrieb, Auftragsmanagement und Abrechnung für Digital-, Magazin-, Zeitungs-, Radio-, TV- und Außenwerbung. Unsere Vision ist es, die weltweit führende Plattform für das Anzeigenmanagement zu werden, um den Anzeigenverkauf zu automatisieren und Medienunternehmen profitabler zu machen. Bitte sende deine Bewerbungsunterlagen per E-Mail an: [email protected]. Ergänzend zu der Bewerbung muss der Auswahltest der Nordakademie absolviert und die Ergebnisse für uns freigegeben werden. Der Test kann hier online absolviert werden. Du möchtest den Entwicklungsbereichund die anderen Bereiche eines modernen, international tätigen Internet-Unternehmens kennenlernen und mitgestalten? Dann entscheide Dich für das duale Studium zum Bachelor of Science Informatik bei ADvendio in Zusammenarbeit mit der Nordakademie in Elmshorn mit Start zum 01. Oktober 2019. ADvendio ist die führende Software für Anzeigenvermarktung und hilft Medienunternehmen in über 20 Ländern, ihre Werbung möglichst effizient zu verkaufen und abzurechnen. Mit unserer web-basierten Geschäftsanwendung, die auf der weltweit führenden Cloud-Technologie von Salesforce.com aufbaut, modernisieren wir den Vertrieb, die Buchung und Abrechnung von Digital-, Print- und Außenwerbung. Unsere Vision ist es, die weltweit führende Plattform für Werbemanagement zu werden. Eigenständige Entwicklung von individuellen Kundenlösungen zur Optimierung der Geschäftsprozesse unserer Kunden, sowohl in Backend- als auch Frontend-Bereich. ADvendio trägt während der gesamten Studienzeit die Studiengebühren. Zusätzlich erhältst du eine monatliche attraktive Vergütung. Unsere flexiblen Arbeitszeiten und die zentrale, verkehrsgünstige Lage unseres Hamburger Büros machen es Dir einfach, eine gute Work-Life-Balance zu wahren. Möchtest du in einem internationalen und wachstumsorientierten Unternehmen arbeiten, dann sende Deine vollständige Bewerbung per E-Mail an: [email protected]. Ergänzend zu Deiner Bewerbung musst Du den Auswahltest der Nordakademie absolvieren und die Ergebnisse für uns freigeben. Der Test kann hier online absolviert werden.